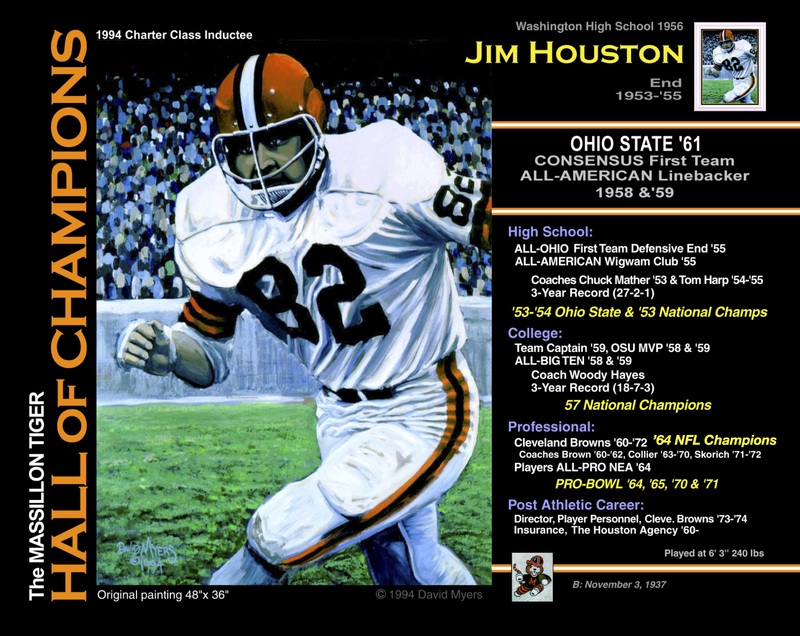 We lost an Ohio legend this week…Jim Houston, a Massillon native, graduated from Washington High School 1956 where he played defensive end for Coach Chuck Mather and Coach Tom Harp on the great 1953 and 1954 State Championship teams. At Ohio State as Captain, 2x MVP and 2x All-American, Jim played for Woody Hayes on the 1957 National Championship team. 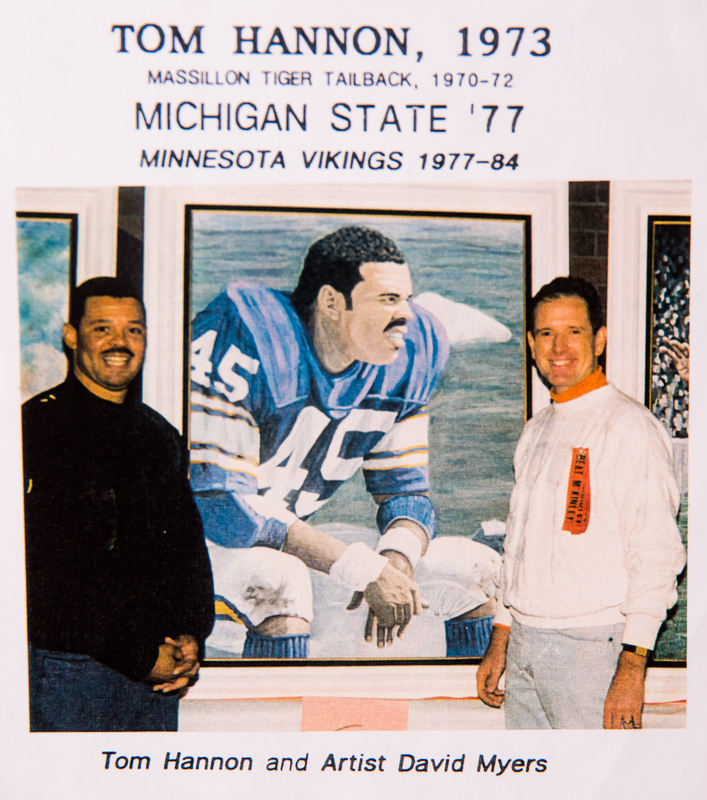 At Cleveland, Jim played for Coaches Paul Brown, Blanton Collier and Nick Skorich. 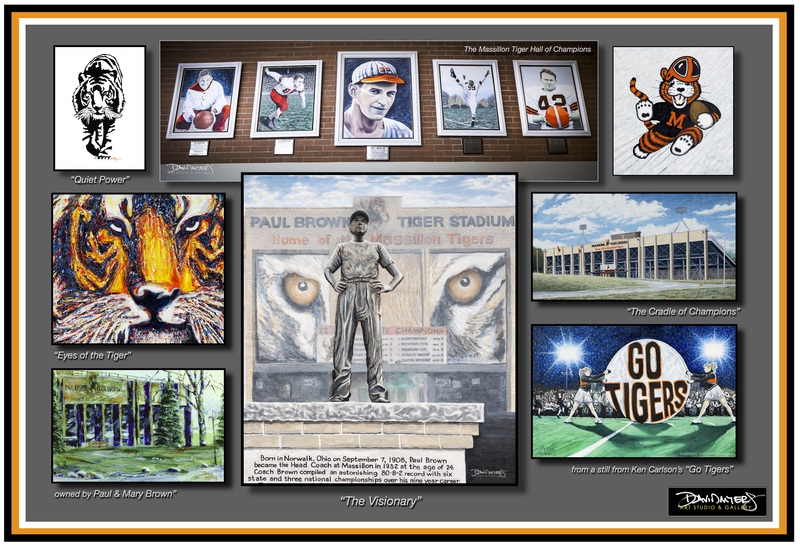 A Pro-Powl selection in 1964, ’65, ’70 and ’71, Houston also was on the Browns 1964 NFL Championship team. 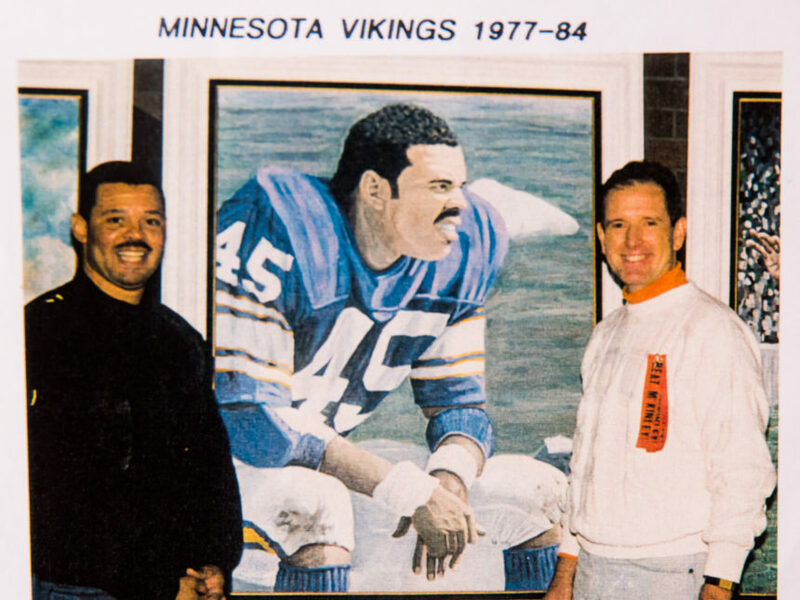 One of a few player to play on national championship teams at all three levels, Jim attained success all through his football career then later as Director of Personnel for the Browns and in the Insurance industry as an Insurance Agent. 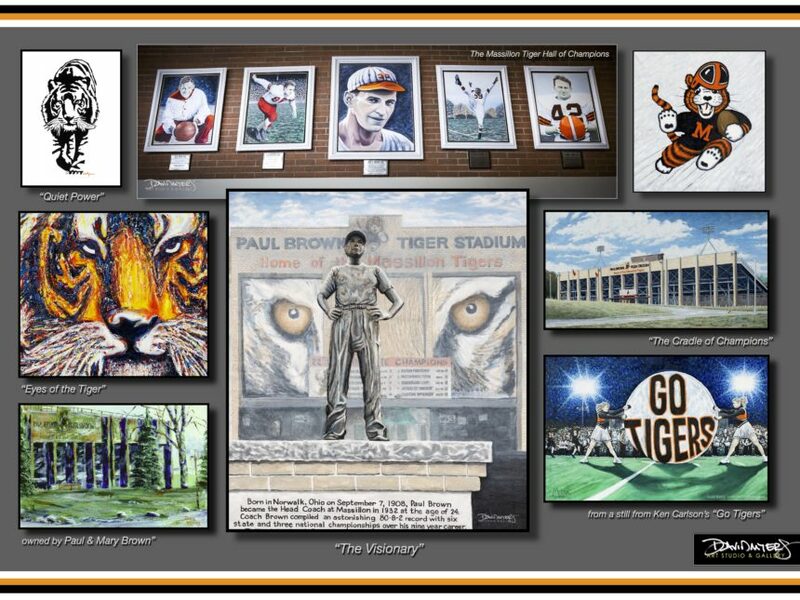 1994 Chapter Class Inductee of the Massillon Tiger Hall of Champions, Jim Houston inspired many and leaves us a great legacy.